Our officers play a vital role in ensuring that the communities of the West Midlands are kept safe. It isn’t easy but it is rewarding and can be a career like no other. We want people to join us who have a range of life experiences and backgrounds; it is vitality important that we represent all of the communities that we serve. 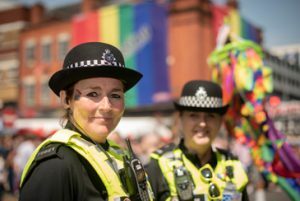 The West Midlands is one of Europe’s most diverse and challenging policing environments, serving 2.8 million people in an area rich in diversity, with around 30 per cent of its population from ethnic minority backgrounds. Birmingham is also the youngest city in Europe, with under 25s accounting for nearly 40 per cent of its population. Our values embody what we are, to join us you must have real passion for people and communities as well as the drive to work alongside local people, building relationships and making a difference in the West Midlands. Life around here is diverse and fast-paced; careers are varied and demanding – but exciting too. 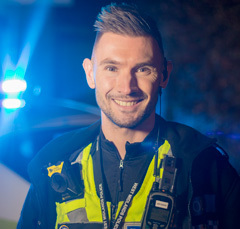 From major incidents to community policing, every day is different and with events like Coventry City of Culture 2021 and Birmingham hosting the Commonwealth Games 2022 to prepare for, a career with WMP has lots to offer. As a police officer you will become the eyes, ears and face of WMP. You will be working together with local communities, partner agencies and colleagues to forge relationships built on trust to deliver our vision through our values. This isn’t a 9-5 role and you will be required to work shifts that include nights, weekends and bank holidays. Your base location of work will vary throughout your career and you may be posted anywhere within the West Midlands region. You will also need to prepare yourself for potentially dangerous situations but be reassured that we will support you to be ready to handle these. If you are joining our student officer programme, studying for a policing degree, your probation period will be three years. If you join us as a graduate, studying towards a diploma, your probation will be two years. During this time you will be supported and assessed to ensure you are lawful and legal to independently carry out the role of a police officer. If that’s not enough to convince you, let’s talk about money. Your starting salary will be £21,000 on the student officer degree programme, or £22,000 if you join us as a graduate, on the degree-holder entry programme. This will rise once you become a fully-fledged officer your salary is determined nationally. Who knows, you could soon be working towards promotion and working your way up through the ranks. We have Fast Track programmes and various other development opportunities to help you progress or specialise in your police career. Maybe becoming a detective or a traffic officer is your dream, or maybe entering the world of counter terrorism is the path for you. It’s all possible and the salary is very competitive.